When completed, Plaza Roosevelt will be a mixed-use development situated on two Grand Rapids city blocks on the east side of Grandville Avenue between Graham and Franklin Streets. What has been four years in the making and dubbed a $40 million “Neighborhood-Driven Development,” Habitat for Humanity of Kent County is taking the lead. The site plan features affordable housing consisting of approximately 45 rental units and 19 single and multi-family homes. Also included are Health care facilities, venues for arts and culture, retail space and a new $20 million Grand Rapids Public Schools high school. 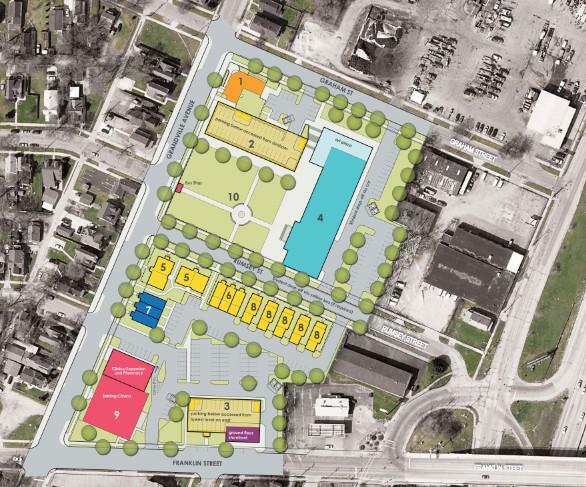 Plaza Roosevelt partners also include, Ferris State University, Dwelling Place, Grandville Avenue Arts & Humanities, Hispanic Center, Mercy Health Saint Mary’s and the Roosevelt Park Neighborhood Association.